Why is Koobface worm extremely dangerous? Since 2009 Koobface has been known as computer worm that spreads on social networks and tries to steal private users’ information. Malware attacks have been spotted on Facebook, Twitter, MySpace, Skype, Yahoo messenger and even Gmail, Yahoo and AOL mailing. Usually, computer infections target only Windows OS users; however, this cyber threat can affect Mac OS X and Linux as well. Koobface malware tries to trick users to install fake Flash Update that is necessary to watch a particular video. Victims receive the video link on direct message on the social network, and if they click on it, they are redirected to a dangerous website which asks to install updates. This bogus update hides Koobface virus which has been created to steal personal and private computer users’ information. Indeed, malware is a serious threat to your credit card and banking credentials, information published on social media and so on. During its lifetime, the developers of the malware have already earned thousands of dollars. On the affected computer malware checks browser’s cookies and looks for cookies that are related to social media. If malware finds them, it activates itself, steals login information and spreads a malicious message to the entire social media friend list. 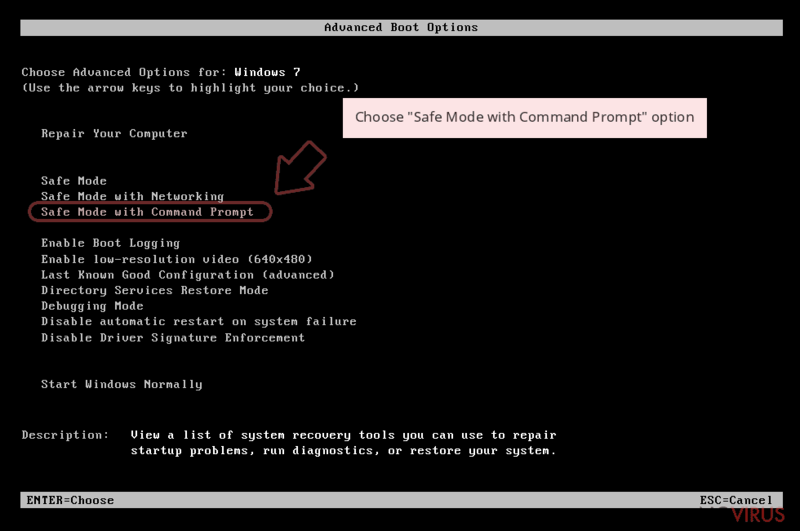 If Koobface worm got in the ‘wrong computer’ that owner does not use or is inactive social media user, it deletes itself and delivers a fake pop-up message informing about particular codec error and asks to contact the service. Indeed, Koobface virus can provide lots of misleading advertisements that warns about various computer-related issues, offers software installation or updates. However, these notifications, ads, and warnings are just Tech support scam. If you click on them or even decide to contact cyber criminals, you may be tricked into installing software or giving criminals full access to your computer to solve a particular issue. However, these warnings are an actual sign of computer infection, and you should not ignore them. Keep in mind that it’s crucial to remove Koobface immediately because keeping in on PC may lead to the money loss. Some cyber criminals use Koobface name in order to scare computer users and swindle their money. Some tech support scammers deliver a pop-up message that computer has been infected with Koobface. To remove it from the system and protect the computer, the user has to call provided numbers. Keep in mind that calling suspicious numbers is not a wise decision. Crooks may trick you into purchasing or installing questionable software and cause more problems for you. They might also convince you to install remote control tools and give full access to your PC for them. If you see suspicious warnings about various computer-related issues, instead of calling to the shady help services, run a full system scan with strong and professional anti-malware application. However, if you do not have it, we recommend installing Reimage, Malwarebytes MalwarebytesCombo Cleaner or Plumbytes Anti-MalwareMalwarebytes Malwarebytes. These programs are capable of detecting and eliminating malware. Within several minutes Koobface removal will be over. As we already mentioned Koobface, malware spreads via social media messages and fake video player. Social media users receive an infected video link from a friend which redirects them to the suspicious website, where they are asked to install Flash Updates. 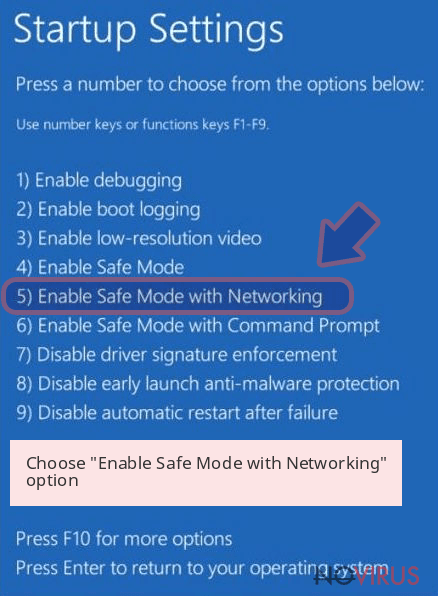 If users are curious and have no idea about safe ways to update programs and allows installing fake updates, they let malware inside the computer. It’s not hard to recognise infected link from the safe one. The dangerous link usually has various symbols, letters or numbers and the domain looks unfamiliar. If the link looks strange or suspicious, do not open it. Victims claim that in the message their ‘friend’ told that they are in this video and encouraged them to watch it as well. Indeed, you can be easily tricked to open the link if you are close to the sender; otherwise, you should think before opening it. It’s doubtful that your colleague or old classmate whom you haven’t talked in ages will send you a funny video. The only possible way to avoid Koobface virus is to stay away from unreliable and high-risk websites and do not click on any suspicious links or advertisements that you see online. Bear in mind that some viral videos on social may also include malicious content. Do not open any links and videos sent from your friends that look suspicious. Before opening it, double check the information and ask your friend if this link is really safe to open. If you end up on the website that asks to update Flash or install other applications, leave it immediately. Remember, that reliable updates do not show up as pop-ups or ads. Lastly, protecting your computer with strong antivirus program will also help to avoid malware. The best way to remove Koobface is to employ a strong malware removal tool. We recommend choosing Reimage or Malwarebytes MalwarebytesCombo Cleaner because these programs have been created to detect and eliminate malicious files. Install and update the program and run a full system scan. After a couple of minutes, it will remove this annoying computer infection. 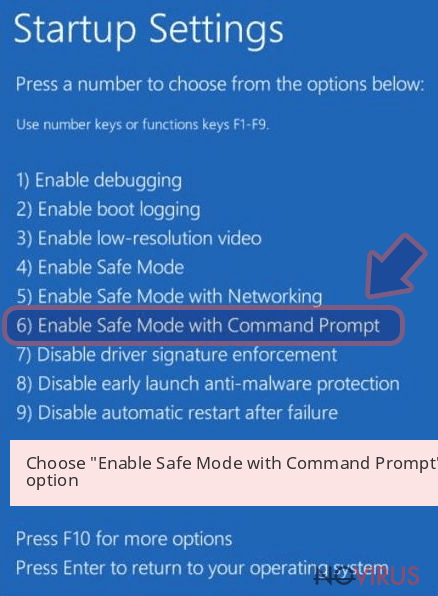 If you are not sure if your computer has been infected with Koobface or not, open Windows Task Manager and look for these processes: Ld12.exe, freddy79.exe, mstre6.exe, fbtre6.exe, ld08.exe. After Koobface removal, don’t forget to change all your passwords, just to be sure that cyber criminals do not have access to your accounts. 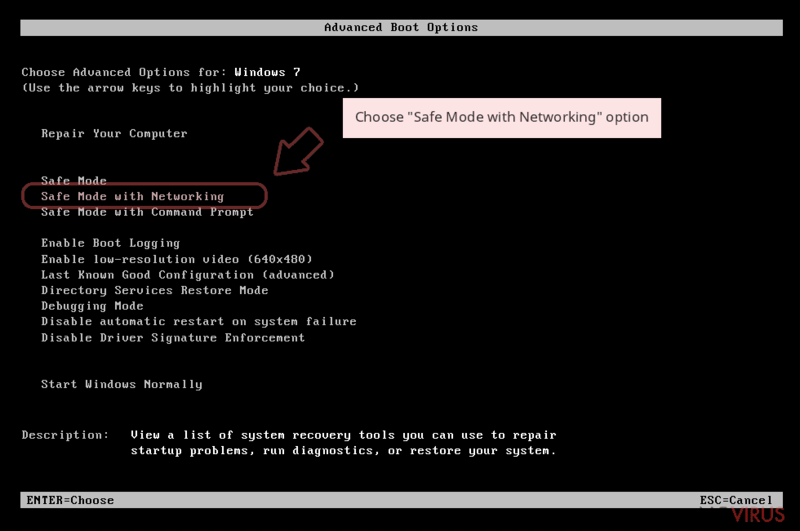 Reboot your computer in Safe Mode with Networking. Then employ a professional anti-malware program and run a full system scan. 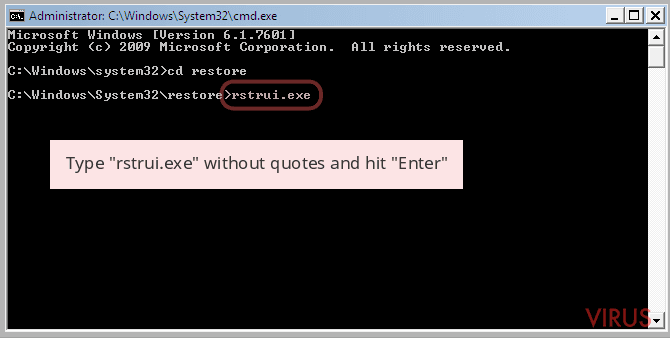 The program will find and delete Koobface Trojan and other malicious components. Keep in mind that it’s important to delete all malware-related components in order to avoid attacks in the future. For this reason, we do not recommend removing this worm manually. Sign in to your account and launch any Internet browser. 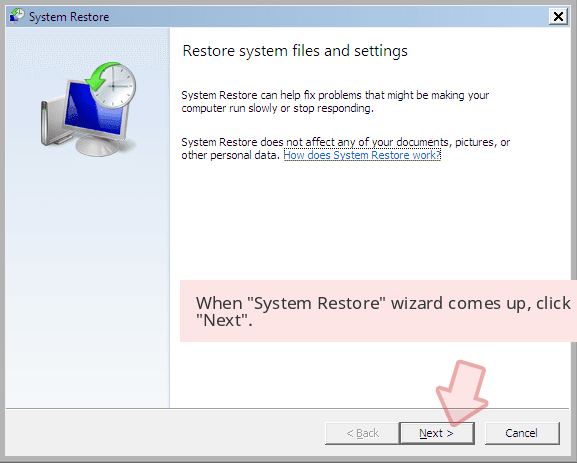 Download a legitimate anti-malware software, for instance, Reimage. Make sure you update it to the latest version and then run a full system scan with it to detect and eliminate all malicious components of the ransomware to remove Koobface completely. 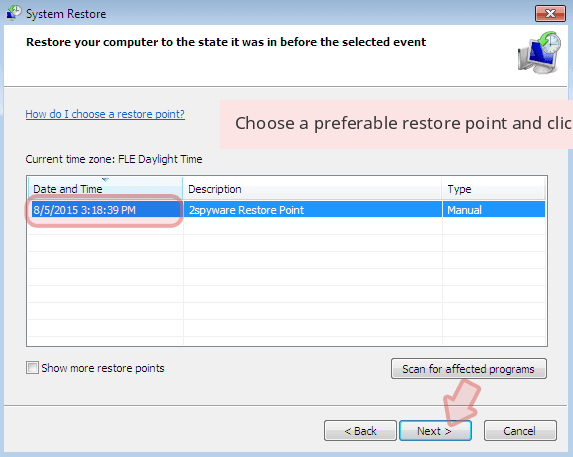 In a new window that shows up, click the Next button and choose a restore point that was created before the infiltration of Koobface and then click on the Next button again. After restoring the computer system to an antecedent date, install and check your computer with Reimage to uncover any remains of Koobface. It is strongly recommended to take precautions and secure your computer from malware attacks. To protect your PC from Koobface and other dangerous viruses, you should install and keep a powerful malware removal tool, for instance, Reimage, Malwarebytes MalwarebytesCombo Cleaner or Plumbytes Anti-MalwareMalwarebytes Malwarebytes. This post was published on 2016-11-23 at 11:10. Category: Viruses, Worms. What method did you use to remove Koobface?